Shack Shine is the team to call when you need an exterior house cleaning in Seattle! 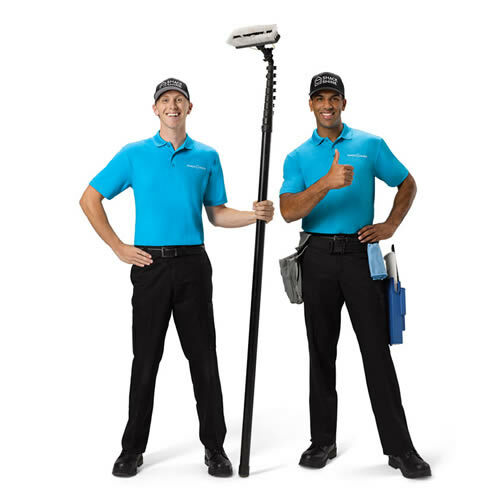 Our trusted team of professionals is ready to get to work cleaning the exterior of your home. With a wide range of services available, you can trust us to give you the look you want. Our Seattle house detailing service focuses on providing you with exceptional results. We are happy to walk with you around the home to get insight or, if you aren’t home, we’ll take before and after photos so you can see just how beneficial the Shack Shine service can be to you. Interior and exterior window cleaning can give your home that clear view you’re looking for from Shack Shine. You don’t even have to be home for us to get to work for you – just make sure the windows are closed before you leave. In Seattle house detailing like this is just what we do. You’ll find your windows are perfectly shiny. A home so bright, you gotta wear shades! Shack Shine’s exterior house cleaning service in Seattle is just what you need never to have to worry about windows again. Gutter cleaning is necessary for most Seattle homes, but many of our clients don’t want to worry about ladders and pulling out the muck from their gutters. Our professionals will do the work for you. We use vacuums to pull out the debris safely and place it into large canisters, so you never have to see it. We get water flowing properly, so there’s no risk of damage to your roof or home foundation. Our roof cleaning service gives you that extra touch. By properly cleaning your roof using a low-pressure system, we remove debris, moss, and mildew. This can damage the roof and leave it with early deterioration. Cleaning the roof using our methods may help to minimize the risk of having to replace your roof too soon. Power washing is a must for our Seattle homeowners who need an exterior home cleaning service. This service provides an exceptional level of cleanliness for many horizontal exterior surfaces around your home. With it, we can strip away mildew and grime and create a fresh, like-new look. We’re shining your neighborhood, one home at a time and power washing makes that possible. Pressure washing surfaces such as concrete driveways, bricks, patios, and more can give your home a new look. We use pressure washing that’s safe for these surfaces but at the same time can strip away years of build-up. Pressure washing is safe for many surfaces. It’s happiness in every detail. To achieve this, we recommend at least one house washing each year. Our service helps to remove grime and debris from the exterior of your home. Most importantly, house washing in Seattle helps to protect the exterior from premature aging and deterioration. We keep things safe by using water-fed poles and filtration systems to ensure a good level of clean. Get your home ready for Christmas by installing bright and beautiful Christmas lights. Our Shack Shine technicians will ensure to measure and cut the lights to fit your unique roofline and landscaping. We offer commercial grade Christmas lights that are energy efficient, longer lasting and brighter. My name is Chuck Ratcliffe and I am the owner of Shack Shine Bellevue. My background is in manufacturing and millwork, focusing on program and supply chain development. I am very excited to be a part of the motivated and inspiring Shack Shine team. Our brand is bright and fun and brings light to what can be seen as an ordinary home service. Our commitment to value is already transforming the marketplace. I am an avid diver and am looking forward to diving Truck Lagoon this year.